NPQ has spent a good deal of time lately talking about public narratives and how we use them and connect our work to them in the sector. But the work of understanding what the public is thinking about can also be traced through words. Long story short, the frequency with which the word “justice” was looked up online on Merriam-Webster’s dictionary site climbed 74 percent in 2018 over the previous year. Writing for the Washington Post, Peter Sokolowski, editor at large for Merriam-Webster, says the word was a constant focus during the year. What we saw with justice in 2018 was more like a continuous sequence of bumps in the data rather than a single outstanding spike; the word rose to the point of being just below the very top words of any given day, but remained there almost every single day, accounting for such a large increase in lookups. 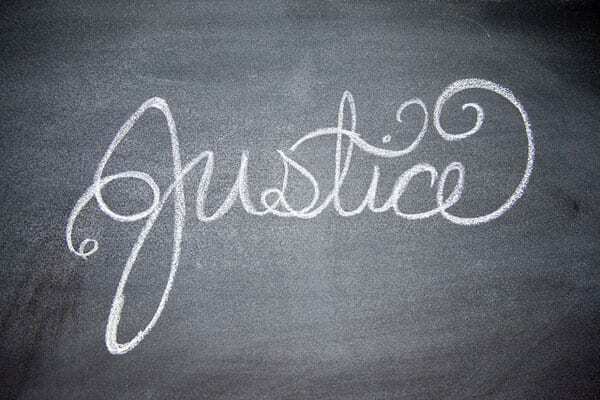 Rather than being driven by a single event, interest in this word correlates to many events in the news, including stories touching on racial justice, social justice, criminal justice, obstruction of justice, countless stories involving the Justice Department, and the specific use of justice as a synonym and title for a judge. We’re good at reading data; we’re not good at reading minds. The data shows that justice has been on our minds, and many events and stories connect to it. It (the word) certainly reflects a curiosity about this idea of a system of fairness. “Justice” came to English from French after the Norman Conquest, when the Normans imposed their legal system on the people of Britain. Old English had words like law, fair, and right, but nothing that denoted a bureaucracy or system of fairness, correctness, and righteousness like “justice”…the words we use tell us about what is on our minds. It is a map of our priorities and interests. Given all that, NPQ likes this word much more than Oxford Dictionaries’ choice of “toxic” as its word of the year, and Dictionary.com’s declaration of “misinformation” as its depressing winner.